In the context of a drunk driving case, it’s practically impossible to argue that someone isn’t negligent when they get behind the wheel while under the influence. Even if the driver’s blood alcohol content wasn’t high enough to support a DUI, evidence of their impairment may be sufficient to establish their negligence. The owner of the vehicle. For example, the owner of the vehicle lent their car to the driver knowing that the driver was intoxicated. The driver’s employer. 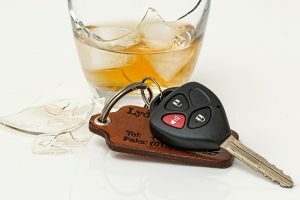 If the driver caused the accident while driving for their employer, the employer may be responsible if they knew or should have known the driver was intoxicated. The bar or other establishment that served the driver. Under Georgia law, bars and restaurants may be held liable for serving patrons who are under-age or intoxicated if they know that they will soon be driving. The party host. Private parties who serve alcohol to minors or know that their guests shouldn’t be driving may be held liable for any accidents that occur. In most car accident cases, the at-fault driver’s insurance pays the claim. Drunk drivers often don’t have insurance because of prior convictions and the heavy premiums that follow. As a result, it’s important to explore all of your potential options to make sure you get the compensation you deserve. An experienced drunk driving accident attorney can help you compile all of your losses and calculate what your claim is worth. If you’ve been injured by a drunk driver, the personal injury attorneys at Slappey and Sadd know how to help you get the compensation you need. Our attorneys provide dedicated, aggressive legal representation to accident victims in the Atlanta area and across the state of Georgia. Call us at 888-474-9616 or contact us online in order to schedule a free consultation with one of our experienced personal injury attorneys.